Not many of us remember what it was like to have one job for your entire career but your Grandparents do. Your mother and father have more than likely have had several jobs and changed careers multiple times. Our generation is faced with the reality that few jobs or careers will provide any long term stability or retirement. We live in a world of change and the rate of change is accelerating. Gone are the days where you could shun technology, social, and economic change and stick to the path you have started on. The days of security with an employer for retirement and certainly any meaningful contribution from Social Security have long passed. The rules have changed and they will continue to change. To survive, succeed, and thrive in today’s world requires embracing and anticipating change. We need to look forward to change and treat it as a gift that allows us to reach our goals and aspirations faster. We must also seek to foster the change we want to see. Our entire future as a generation demands that we not only accept and embrace this change, but that we also foster a culture with our children to do the same. To many this will seem counter intuitive and human nature is such that most don’t change until the pain of staying the same is greater than the pain of change. Wouldn’t now be a time to change that? Wouldn’t now be a good time prepare for the change that is here and the change that is certainly coming? If you know your job most likely won’t be here in 30 years, isn’t now the time to do something about while you are young and have the resources and energy to do something about it? Change isn’t some monster hiding under your bed ready to eat you when you get out of bed in the morning nor is it some dark cloud on the horizon destined to destroy your career and retirement. Change is the rain we need to grow as a country, a culture, and a generation so that we can surpass the achievements and accomplishments of our parents and grandparents. Change is exactly what we need to become truly great and define what our generation stands for. Embrace the change and take control of your career, your retirement, and the security of this and the next generation. You can’t stop the change so why not embrace it? 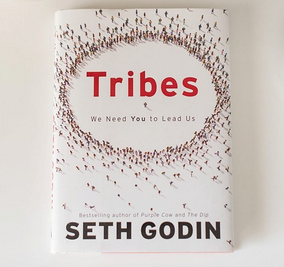 Watch this video of Seth Godin giving a presentation at TED and be inspired. I will see you at the top!